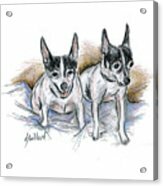 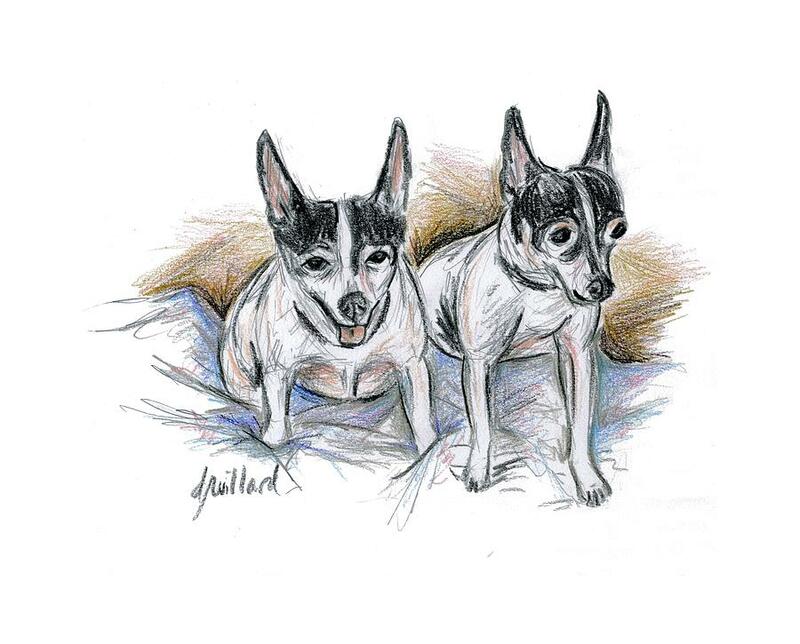 Two Toy Fox Terriers is a drawing by Deborah Willard which was uploaded on September 27th, 2015. 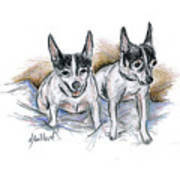 Realistic colored pencil drawing of a pair of toy fox terriers, based on dog owners' photo. There are no comments for Two Toy Fox Terriers. Click here to post the first comment.